It’s been a long time since TENHI released a full-length of all new material and as expected, the band do no disappoint. The band further defines and expands upon their unique style of neo progressive Finnish folk music with an ever improving command of dynamics and creativity. The feelings of melancholy, reverie, and solitude form this compelling atmosphere that is undeniable. It often seems as if TENHI are actually manipulating the listener rather than their instruments. It’s not a stretch to say that it’s easy to picture oneself in the middle of Finland’s breathtaking landscapes. The centerpiece of Saivo has got to be the nine minute plus, “Haaksi.” The song has such strong phrasing and the emotional stringed instrument parts really help to add this natural ebb and flow as well as a type of unique, raw energy. Closing track, “Savoie,” is a beautiful and soothing farewell. TENHI convey this strong feeling of resolution, which makes it perfect as the last song. The new video for “Siniset Runot” off of TENHI‘s new album, Saivo, has been posted online. Saivo will be released December 2, 2011. “The new songs for the coming album Saivo are evolving nicely. We however stand now in a rather unorthodox situation as we never have had so much new material waiting to be recorded. “Here are some working titles for the songs. 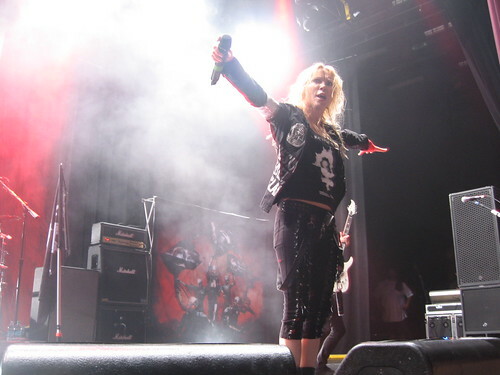 “Ilkka Salminen has now officially left the band. We decided to announce this as there has been some speculation around the matter. “This isnâ€™t a dramatic change in the band at all but rather awaited decision. His contribution has decreased along the years and his personal interests lie elsewhere, while for us the band has become even more crucial part of our lives. “I have now officially left TENHI. “This is my own decision and I want you to know that it happens in the best spirit between all of us. It might not be a surprise for you, as my contribution in TENHI has decreased ever since we released MaaÃ¤et. For the time being I havenâ€™t got the possibility to devote myself to TENHI anymore with the same intensity as Tyko and Ilmari. “Iâ€™m extremely proud and happy for everything we achieved in TENHI and it all means an awful lot to me. I feel privileged that for the past decade I was given the possibility to create music with such talents as Tyko and Ilmari. I think TENHI is doing very well in their care, and I encourage them to carry on the TENHI saga for a long time. “On my behalf Iâ€™d like to thank all of you TENHI fans for the fantastic support youâ€™ve given throughout the years. I wish you all the best, keep TENHI flame burning! TENHI has posted a new video for the unreleased track, “kausienranta,” off of their brand new career spanning compilation, Folk Aesthetic 1996-2006. Check out the video here. Folk Aesthetic 1996-2006 is available now via Prophecy Productions. Unreleased album entity called Kaski. (Swidden).